This mission through the Alps was absolutely incredible and extremely challenging in every way. We climbed on average 5,000 to 6,000 feet per day, with our biggest day close to 8,000 feet. The descents were equally daunting, at times taking us four hours just to get down and off a mountain. If you've ever been to the Alps, you know how crazy big they are and the sheer vertical elevation gain and loss. We wanted to stay on trail as much as possible, so that meant never really taking the easier ride around (or on the road) option but going straight up and over each mountain pass to get to the next village. It is pretty unique, especially in Switzerland, how high up people live there! We really had some amazing cultural experiences and interactions with the locals in some of the tiny Swiss villages we stayed in. 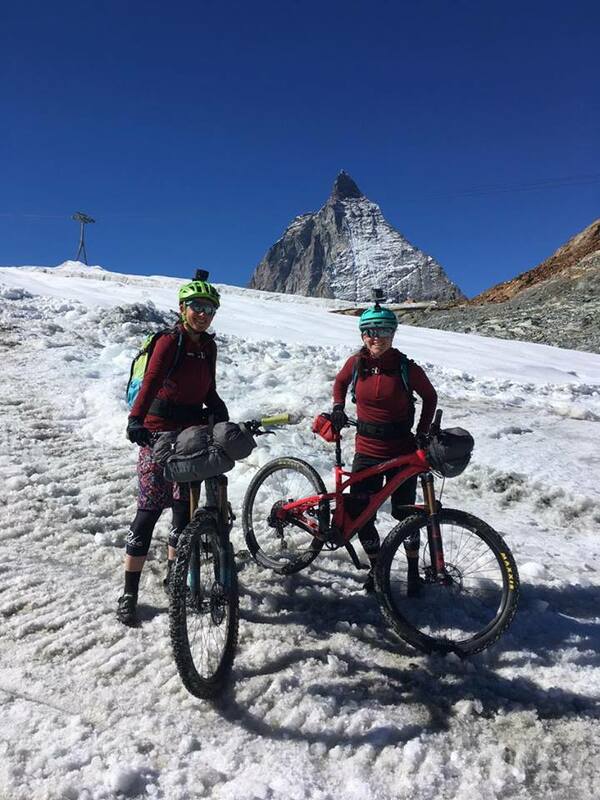 The whole trip encompassed three countries (Chamonix, to Zermatt, to Aosta), a glacier crossing (which is quite the crazy story in itself), 10 days on the bikes, hours and hours of hike-a-biking, 450 kilometers of mountain trails, and almost 45,000 feet of climbing! It was a pretty cool feeling to know we are the first to ever connect this route via mountain bike! 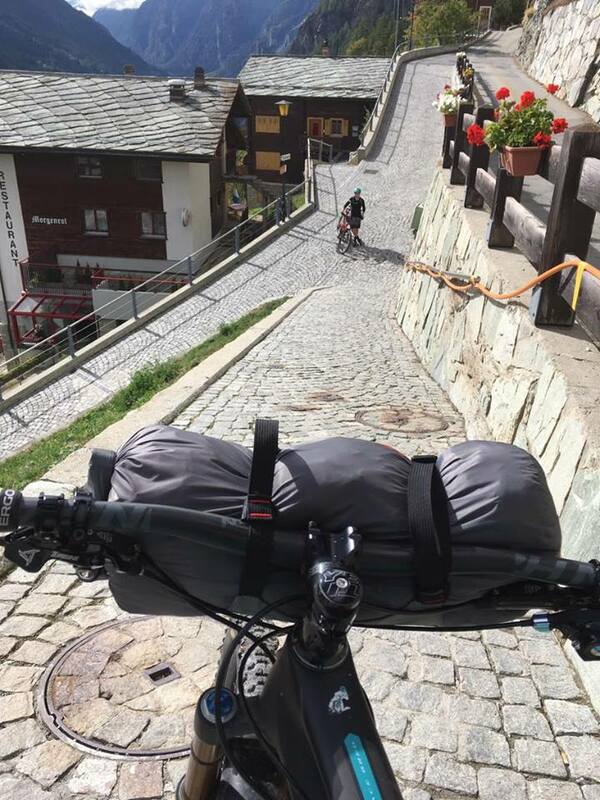 The whole purpose of taking of this ride in the alps was to support those impacted by cancer. My mom was diagnosed back in March and it has been a very difficult journey, but one I feel privileged to support her on. My mom is a resilient women and has a quiet strength about her that everyone seems to notice. Not once has she felt sorry for herself, and in fact continues to have a heart to serve her community and friends as she battles cancer. She loves being outside and in the mountains. Riding a bicycle has been a passion of her’s for many years and at the beginning of her chemotherapy treatment, she decided that her symbol of hope throughout treatment was going to be a bicycle; that she will soon be able to get back on the bike and ride to her heart’s content. And we are hopeful she will! This motivated me to show my support for her and do something meaningful on a larger scale. Christian and I are best friends who love life, have a passion to be outdoors and to explore this amazing world on two wheels, and who have both been impacted by cancer. Our friendship began in South Africa on an Athletes in Action service trip where we played soccer with the SA National team and put on soccer camps in poverty stricken townships. Since then we have supported each other through the highs and lows of life and have shared some of the most epic adventures together throughout the world. 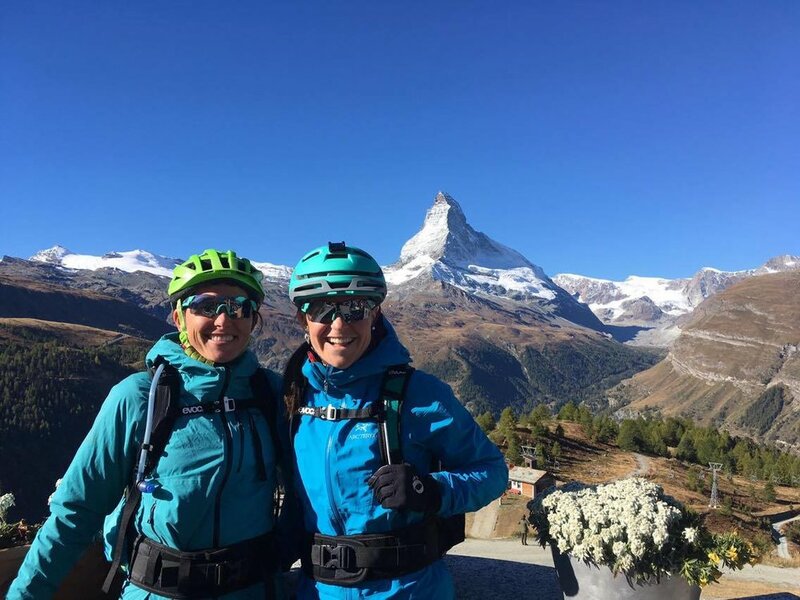 We are both passionate mountain bikers who have competed in mountain bike races in North America. Last December, we moved to New Zealand to have the opportunity to adventure on two wheels and race in NZ for a year. 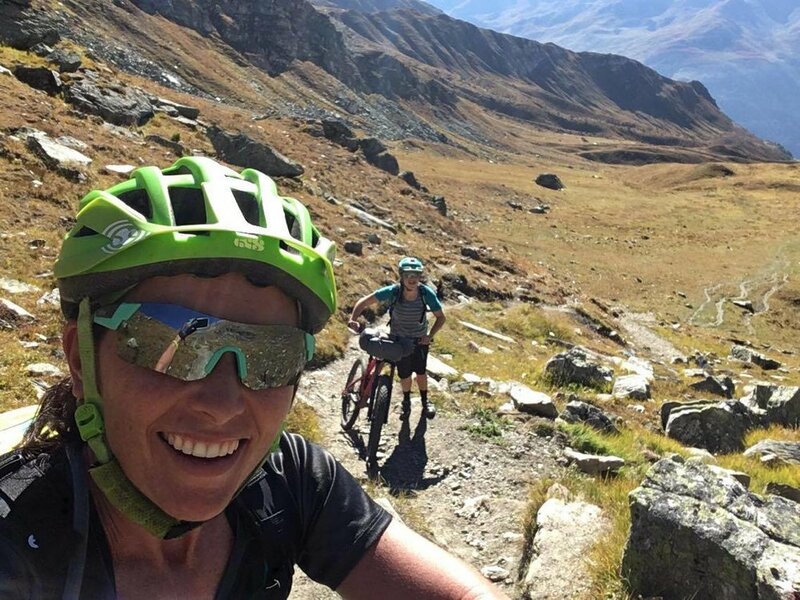 Unfortunately, our time had to come to a screeching halt a few months into New Zealand as Bri’s mom was diagnosed with cancer and Christian broke her back after falling 100 feet off a mountain while biking. She was helivaced out of one of the most remote places in the country, and learned that she had fractured her spine in two places, and compressed three vertebrae completely on top of each other. We will never forget that day and it has brought us closer in our friendship in a way that only a life and death experience can. After all this unfolded in New Zealand, I returned home to Canada to support my mom through her journey with cancer, and Christian returned to Colorado to focus on healing her back around the support of family and friends. Christian lost someone very close to her many years ago when her cousin she grew up with died of cancer at 19 years old, after battling throughout his adolescence. 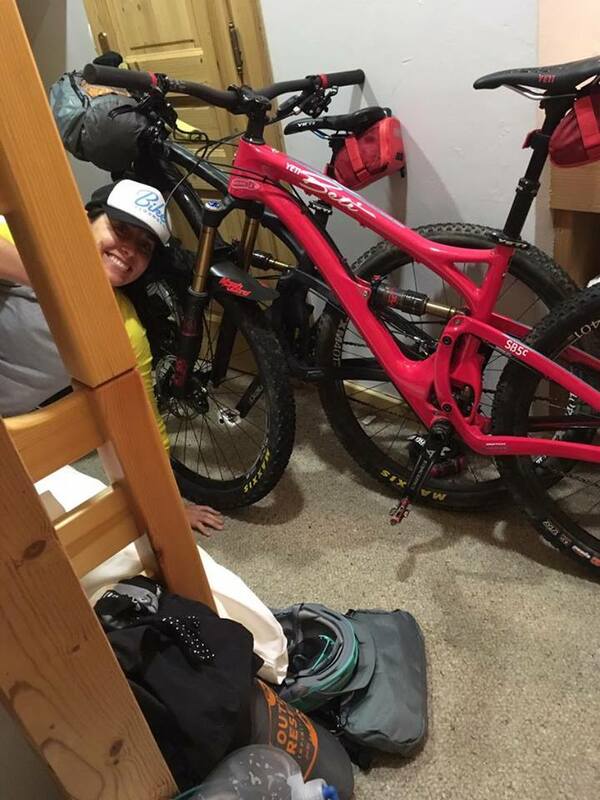 This has impacted her life in a big way and is an inspiration for her to do this ride. Christian's remarkable comeback made it possible to take this challenge on as a team— to inspire, bring hope and raise funds for the King's Gold Retreat Center in Alberta— an organization near to my mom's heart that works with cancer patients. We are continuing to raise funds for them on GoFundMe. We are both so thankful we took the opportunity to do something much bigger than ourselves and take on such a huge mountain bike mission. Each step of the way we were motivated by all those that have been impacted by cancer and we want to encourage people to never give up hope, get outside, and make the most of each precious moment we are given. Ride on!